On behalf of admin of JML Law, A Professional Law Corporation posted in Car Accident on Saturday, Nov 11 2017. Road rage and carjacking resulting in billions of dollars worth of damages and injuries as well as thousands of fatalities across the U.S. each year. And yet, Americans think it’s not a big deal. Fact #1: a 2014 Gallup poll found that 56% of Americans rarely or never worry about carjacking. Fact #2: an estimated 66% of all traffic fatalities are caused by road rage, while aggressive driving also leaves hundreds of thousands of people injured each year. One recent incident in Long Beach has caught the eye of a Long Beach car accident attorney at JML Law. And the incident is the latest proof of just how dangerous road rage is. Earlier in November, a driver went on a road rage and carjacking spree, killing one man and injuring others in Paramount. It all started when a man in a red Lexus fired a gun during road rage at the intersection of Artesia Boulevard and Atlantic Avenue. The driver then drove to an apartment building and attempted to carjack a man, who was shot and killed a result. But the gunman eventually abandoned the victim’s vehicle and successfully carjacked another car, a red Mustang. He then drove off and crashed into another car, injuring the driver. The gunman then fled the scene. It’s yet unclear if the LAPD have arrested the gunman, but they took into custody several people as a result of the bizarre road rage and carjacking spree in Long Beach. How to get compensation if your car gets stolen? Carjacking and road rage incidents that cause fatalities are not rare in Long Beach or anywhere else across our nation. In 2016 alone, about $5.9 billion was lost to motor vehicle theft in the U.S., and up to a million of cars are carjacked in the U.S. each year. While carjacking incidents cannot be prevented, you will need solid and aggressive legal representation in order to get compensation if your car gets stolen. It’s advised to consult an experienced carjacking attorney in Long Beach before calling your insurance company or even filing a police report. JML Law has handled hundreds of carjacking incidents in Long Beach and all across California in the past over 35 years, and has helped clients obtain hundreds of thousands and millions of dollars in compensation for their damages and losses associated with carjacking. While you cannot really prevent carjacking incidents, you can prevent road rage from getting you injured or even killed. While not every road rage incident results in a carjacking spree – as it was in the Long Beach incident – there’s still much to lose in bouts of road rage, which almost never end well. 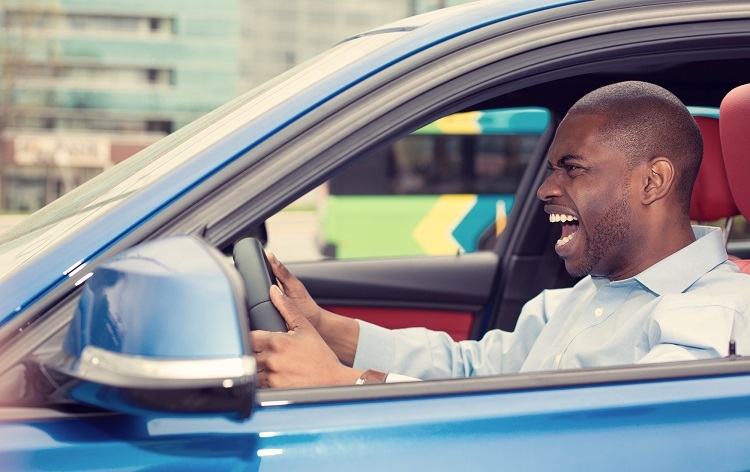 Road rage usually has the intent to humiliate, offend or show your dominance against other car drivers, and this may be dangerous or deadly as you’re putting the lives of other drivers in danger. Throwing things out of your car window, cutting other cars off, changing lanes in front of other drivers, tailgating… These and many other traffic behaviors may lead to devastating consequences. If you were hurt in a car accident triggered by road rage, don’t hesitate to seek the legal advice of a Long Beach car accident attorney. Here at JML Law, we offer our clients a free initial consultation and will fight day and night to find evidence of road rage and help you win a settlement for your injuries and damages. Call our Long Beach offices at 818-610-8800 or send an email for a free initial consultation. We don’t get paid unless you get compensated fairly.